A Flower Power Hippy Man Costume including a Waistcoat and Trousers – Ideal for a 60s theme, a Hippie theme, or any fancy dress occasion! You’ll be groovy in no time with this fantastic Flower Power Hippy Man Costume. 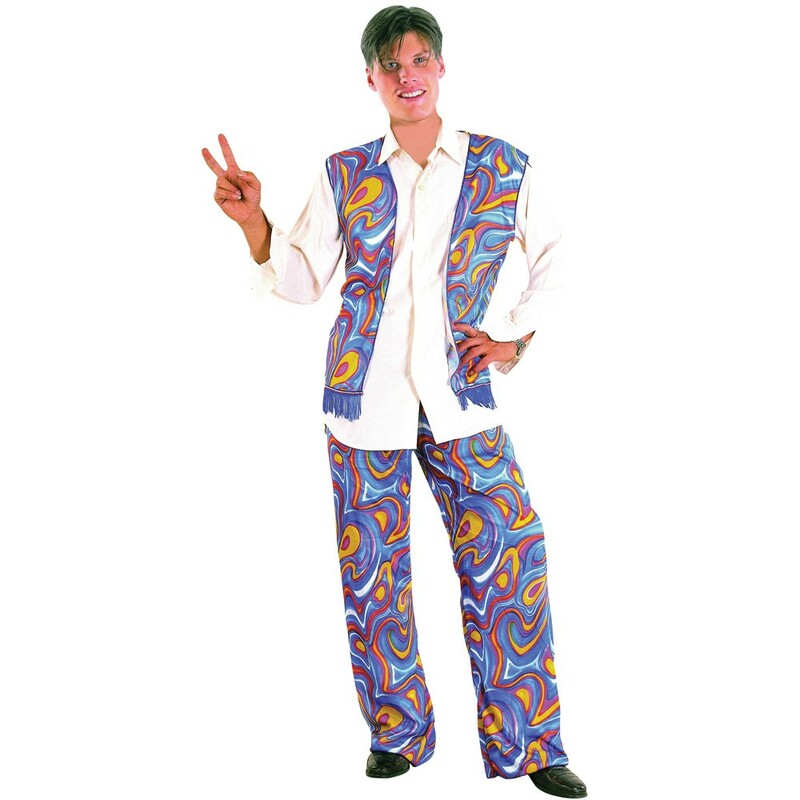 This Flower Power Hippy Man Costume comes complete including a Waistcoat and Trousers. This matching Waistcoat and Trouser set will be sure to take you back to the 60s, with its vibrant multi-coloured pattern. Perfect for a 60s theme, a Hippie theme, festivals, a TV & Film theme, or any fancy dress occasion, this Flower Power Hippy Man Costume will be sure to impress no matter what! So peace out with this brilliant Flower Power Hippy Man Costume. Flower Power Waistcoat and Trousers.